Interior view of Pier 70 to be transformed into the inaugural UNTITLED, San Francisco art fair. Image courtesy of Pier 70 Partners. January 13th – 15th – UNTITLED, San Francisco art fair at Pier 70: UNTITLED, Art is an international, curated art fair founded in 2012 that focuses on curatorial balance and integrity across all disciplines of contemporary art. For the inaugural presentation in San Francisco, 50+ international galleries, artist-run exhibition spaces, and non-profit institutions and organizations have been selected. Since 2014 the curatorial team has consisted of Christophe Boutin, Omar López-Chahoud and Melanie Scarciglia. 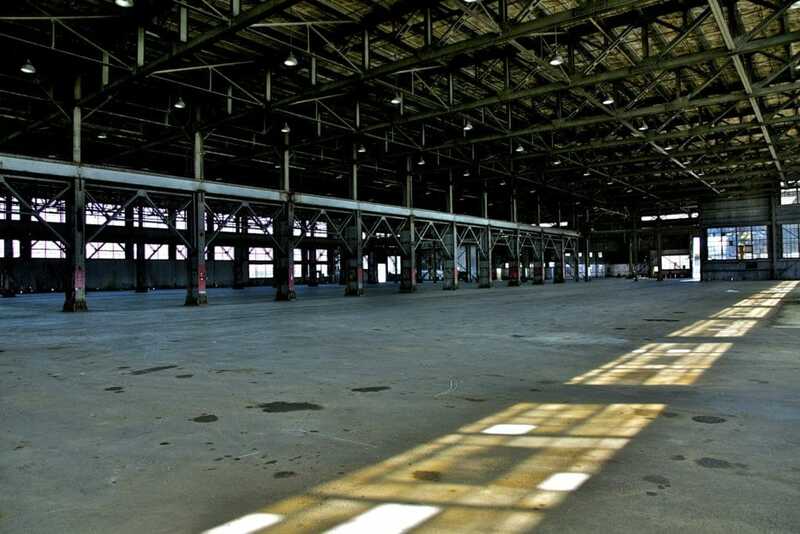 The inaugural edition of UNTITLED San Francisco will take place at the historic Pier 70 in the Dogpatch neighborhood. Please contact us for VIP passes to the fair. Interior image from a past FOG Design + Art fair, courtesy www.fogfair.com. 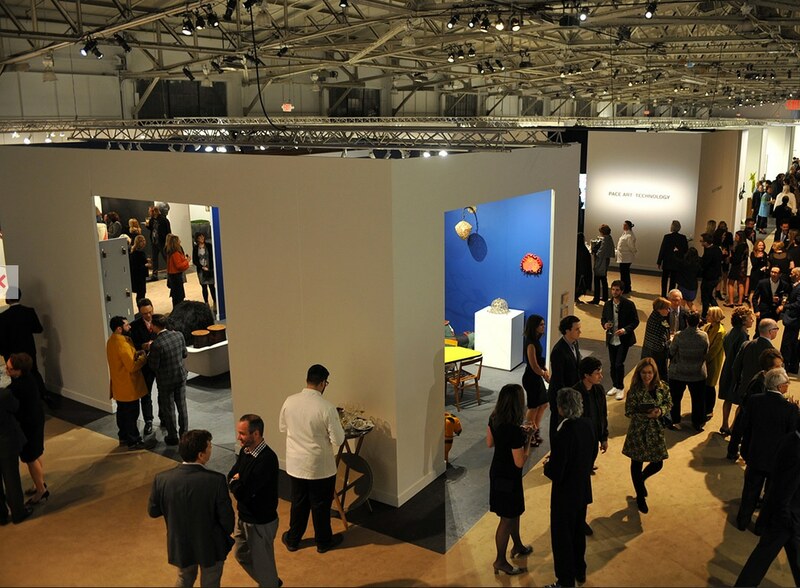 January 12th – 15th – FOG Design + Art fair at Fort Mason Festival Pavilion: Celebrating today’s most significant creatives and leading contributors to the worlds of design and visual arts, the fair assembles 45 leading international galleries alongside prominent 20th-century and contemporary design dealers. The Preview Gala benefiting SFMOMA will be held on Wednesday January 11th, purchase tickets here. 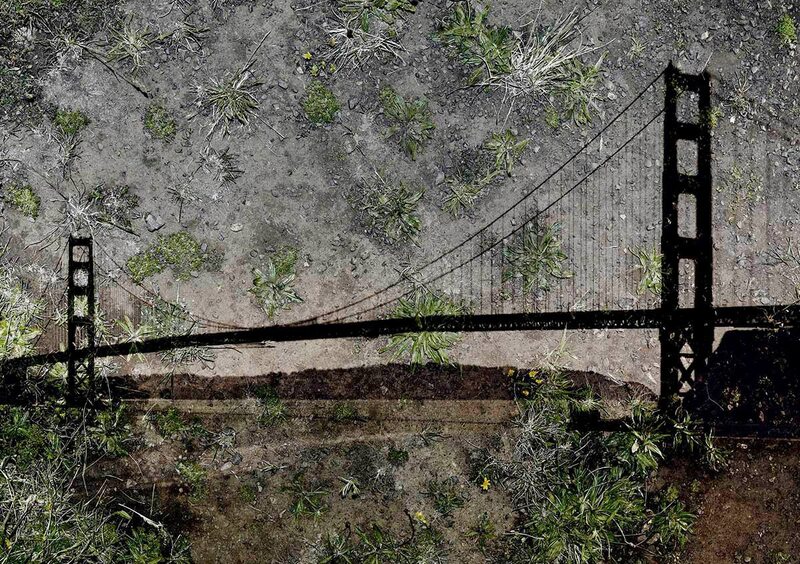 Abelardo Morell “Tent Camera Image on Ground, View of the Golden Gate Bridge from Battery Yates” 2012. Image courtesy of Edwyn Houk Gallery. January 27th to 29th – PHOTOFAIRS San Francisco at Fort Mason Festival Pavilion: PHOTOFAIRS is dedicated to presenting fine art photography and moving image from leading international galleries and their artists in dynamic and cutting-edge destinations around the world. In its highly curated approach, PHOTOFAIRS provides an elegant and vibrant environment for both seasoned and new collectors. In addition, tailored VIP and public programs are designed to create an engaging platform for our international audience. This will be the inaugural year for the San Francisco location. Thursday, January 12th, 6:30 pm – Yves Klein’s Monotone-Silence Symphony at Grace Cathedral: Dominique Lévy gallery is pleased to present Yves Klein’s groundbreaking Monotone-Silence Symphony, in partnership with Grace Cathedral. Yves Klein (1928–1962) was the leading member of the French artistic movement nouveau réalisme, and a pioneer in the development of performance art, minimal art and pop art. A transcendent and moving experience, Monotone-Silence Symphony was described by the artist as “one unique continuous ‘sound,’ drawn out and deprived of its beginning and of its end, creating a feeling of vertigo and of aspiration outside of time.” The work unfolds over minutes, as a group of musicians and singers holds a single continuous tone for a twenty-minute period, followed by twenty minutes of absolute silence. Klein originally conceived of the work with two friends on a beach in the South of France, around 1947-48, about the same time that John Cage was working on 4’33”, another innovative musical composition incorporating silence and ambient sound. 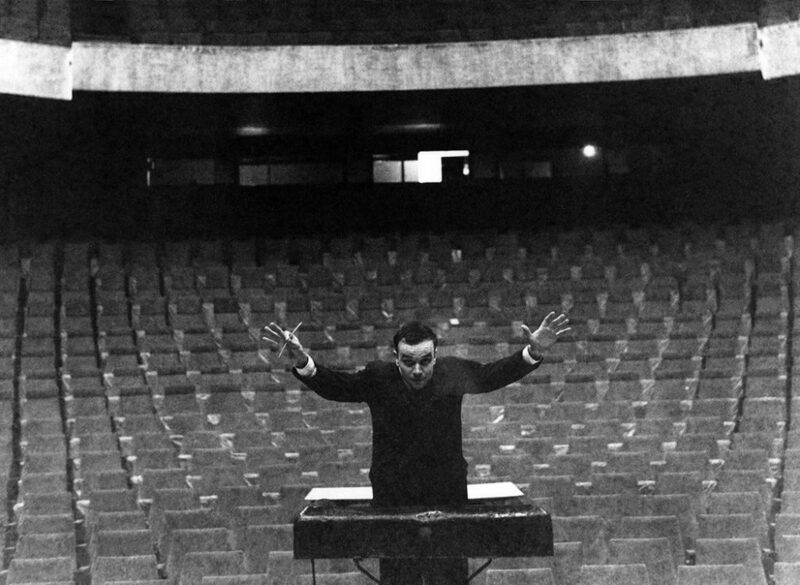 Klein performed the piece with a small orchestra and chorus in Paris in 1960, although he never realized the work at the full scale he desired before his death two years later at the age of thirty-four. Free and open to the public, RSVP required here. 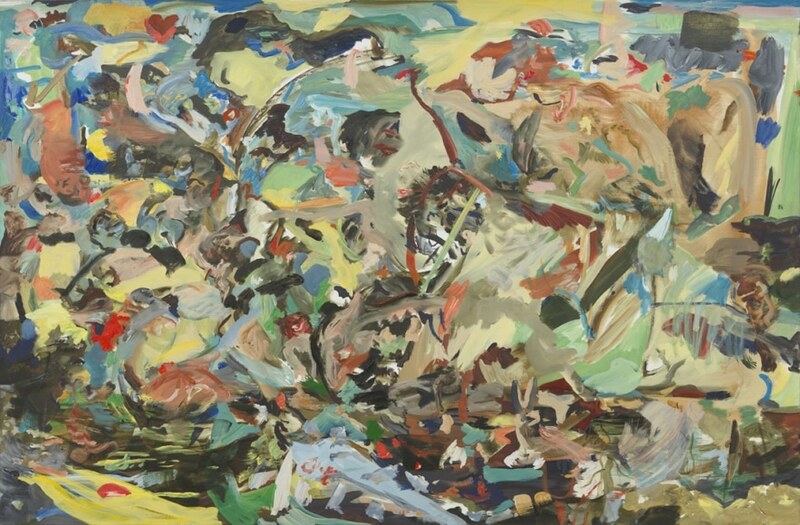 Cecily Brown “Untitled” 2015, oil on linen. Image courtesy Berggruen Gallery. January 13th to March 4th – The Human Form group exhibition at Berggruen Gallery’s new location: This will be Berggruen Gallery’s inaugural exhibition in their new space at 10 Hawthorne Street, across from SFMOMA next door to Gagosian Gallery. The renovated gallery space measures 10,000 feet, with two floors of gallery space and another floor of project and event space. The exhibition The Human Form, is an exploration of the human figure from the early 20th century to today. Bringing together over 60 works by 20th century masters the exhibition looks at the formal and conceptual ways that artists have approached the representation of the figure. 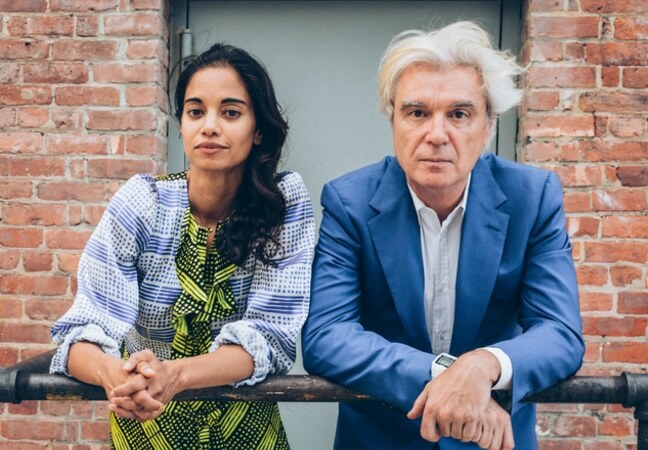 Mala Gaonkar and David Byrne, co-creators of “NEUROSOCIETY”. Image courtesy of Pace Art + Technology. Ongoing to March 31st – The Institute Presents: NEUROSOCIETY at Pace Art + Technology: Co-created by David Byrne and Mala Gaonkar The Institute Presents: NEUROSOCIETY, an 80 minute immersive theatrical experience. The exhibition is a series of interactive environments that Byrne and Gaonkar have created to present the emerging work of fifteen cognitive neuroscience labs around the world. Purchase tickets here. Pace Art + Technology is located at 350 El Camino Real in Menlo Park.